Wagner Mota is a Brazilian jiu jitsu black belt under Eduardo Telles and Fernando Tererê, being well known in the grappling circuit as Demian Maia‘s coach during the fighter’s tremendous mixed martial arts (MMA) career in the Ultimate Fighting Championship (UFC). 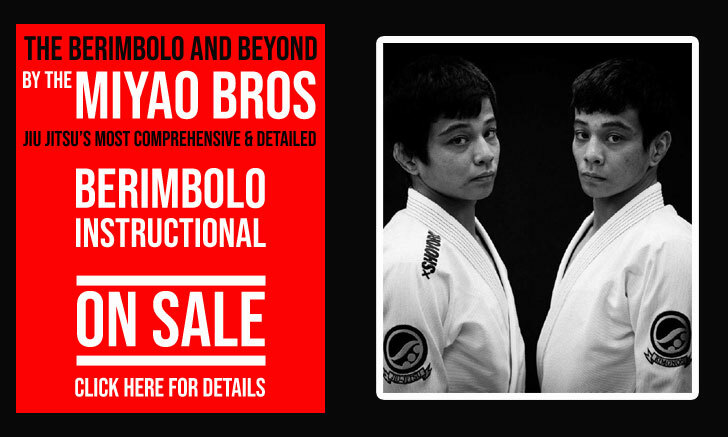 Mota is also a historic figure for jiu jitsu in his home country – particularly in the state of São Paulo, being a former Marcelo Behring student, while having helped Fábio Gurgel prepare for many legendary bouts under no-holds-barred (NHB) rules. Nickname: “Wagnão” which is an endearing way of saying Wagner. Wagner Mota was born in São Paulo, in the Ó district on February 1st, 1964. Introduced to sports from an early age, Wagner gave way to grappling as a 10 year old, training judo at the Sociedade Esportiva Palmeiras – one of São Paulo’s most famous sporting clubs. Mota practised judo for 40 years, though he never pushed for his black belt papers by refusing to pay for the exam and its costly fees. Wagner added jiu jitsu to his training schedule when he was 26 years of age (1991). At the time Mota was coaching judo at Bibi, a gym located in Horácio Lafer street in Itaim (SP). 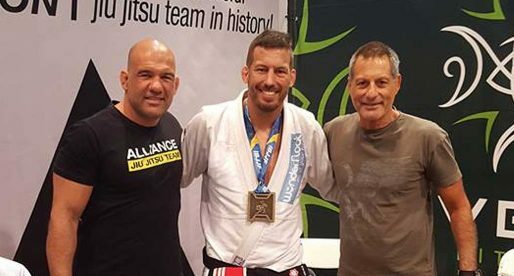 Marcelo Behring had just left Cia Atlética (that would later become Cia Paulista) and joined the Bibi staff rota as a jiu jitsu coach, bringing several students from his previous gym with him. One of those students was Fernando Yamasaki, a good friend of Wagner’s from the judo circuit. It was Yamasaki who first convinced Wagner to try Behring’s class. Marcelo Behring coached at Bibi until the time of his murder in 1994, promoting Wagner up to purple belt. After the tragic incident, Mota was left without a master. He re-started training jiu jitsu in a new academy opened by Sylvio Behring and Fábio Gurgel, also sharing the mats with Ralph Gracie at his academy in Itaim. Wagner gained a wealth of knowledge and experience from Fábio Gurgel, becoming a training partner and corner-man for the “General” in his no-holds-barred matches at the Ultimate Fighting Championship (UFC) and at Maksud Plaza (WVC 3 World Vale Tudo Championship – USA vs Brazil Challenge). It was Gurgel who awarded Mota his brown belt in 1997. Shortly after earning his brown belt rank, Wagner required knee surgery. While he recovered, Mota opened an Açai bar in Faria Lima avenue. Setting up this new endeavour in the catering industry required all his focus, leading him to leave jiu jitsu momentarily. When Wagner decided to return to jiu jitsu, the Alliance team had broken up, leading to two groups: the Alliance and the Master academies (more on the history of the team split here). 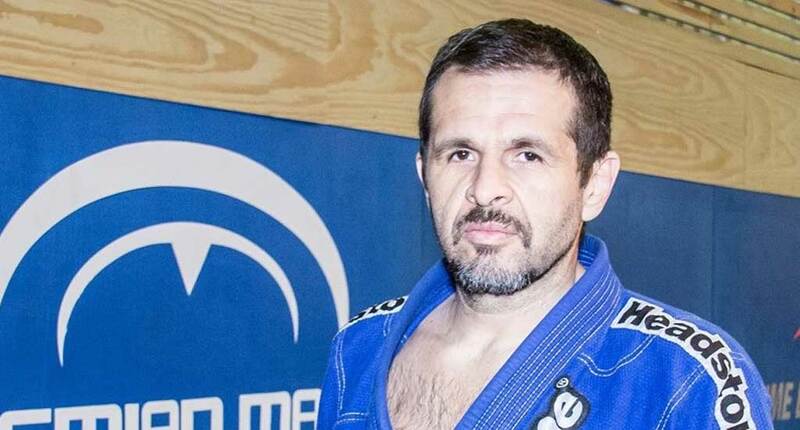 Mota decided to train at Master’s headquarters with athletes such as Leonardo Vieira, Eduardo Telles, Fernando Tererê, Demian Maia, to name a few. Within a year Fernando Tererê and Eduardo Teles went their own way, dispersing from the Master group to form their own team: TT, a team that quickly became one of the most influential academies in the history of the sport. Wagner earned his black belt at TT from both Tererê and Telles in 2003. When Fernando Tererê abandoned the sport due to an amalgamation of factors that went from schizophrenia to drug dependence in 2004, Wagner stopped training at a high level for a while. His desire to return to high intensity training coincided with him bumping into an old training partner, this same partner told Mota of Demian Maia’s new gym and Wagner immediately joined up as a member. Wagner knew Maia from the Alliance/Master/TT days, feeling at home in Maia’s academy. Within 1 month of training there Demian suffered his first loss in the UFC. Knowing of Wagner’s tremendous knowledge of fighting, particularly in grappling, having experienced this first hand in the many classes Wagner taught at TT, Maia decided to request Mota’s expertise as a coach. This was a major shift in Wagner’s career, who was already an accomplished entrepreneur, but he agreed to the challenge, signing on as a Demian Maia instructor in 2009, and being an important tool in Maia’s success during his welterweight title run.